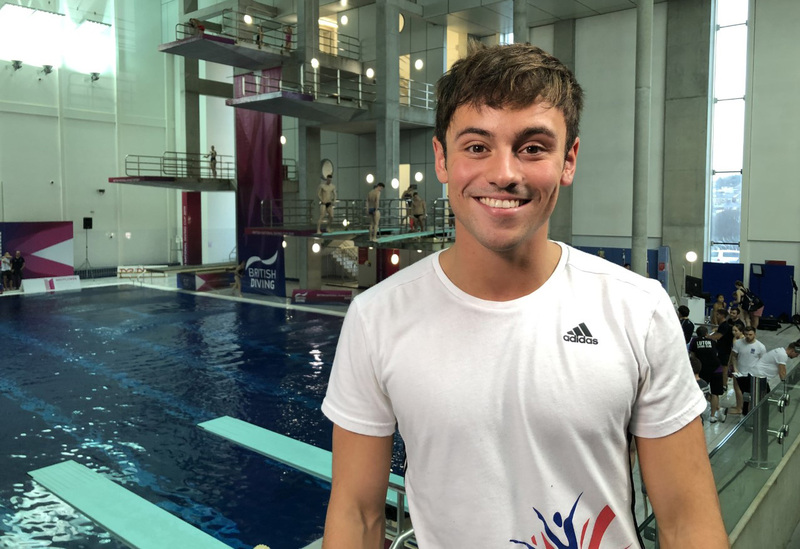 PLYMOUTH diving star Tom Daley says taking a break from the sport last year was the ‘best thing’ he could have done. The world champion, who has competed at three Olympic Games, had been struggling with illness and injury in the build up to last April’s Commonwealth Games. He ended up only competing in the synchro competition in Australia and then took the rest of the year off to recover and spend time with his new son, Robbie. But Daley showed he was back to his best at the weekend by winning the individual and synchro competitions at the National Diving Cup held at Plymouth’s Life Centre. In his individual event Daley claimed an impressive early season score of 512.15 points, despite one poor dive. However, he showed his class with his final effort which scored a massive 108 points. Daley will be looking to defend his world title later this year and also secure a spot at next year’s Olympic Games. He believes last year’s break will benefit him in the run up to Tokyo 2020. “Taking a break was the best thing I have done for my diving career – both for the mind and the body,” said the 24-year-old. Daley’s family were all at the Life Centre watching him compete over the weekend, first in the synchro with new partner Matty Lee and then the individual event. “I was also diving in front of my son, Robbie, for the first time, which was more nerve-wracking than I thought,” he said. “He won’t have even known, but it was nice to see him there. And whereas some of his rivals might be changing their diving lists and adding new ones, that is not a worry now for Daley. “When you get to my age I have done all the dives I need to do, it is now just about perfecting them and getting them consistent,” he said.